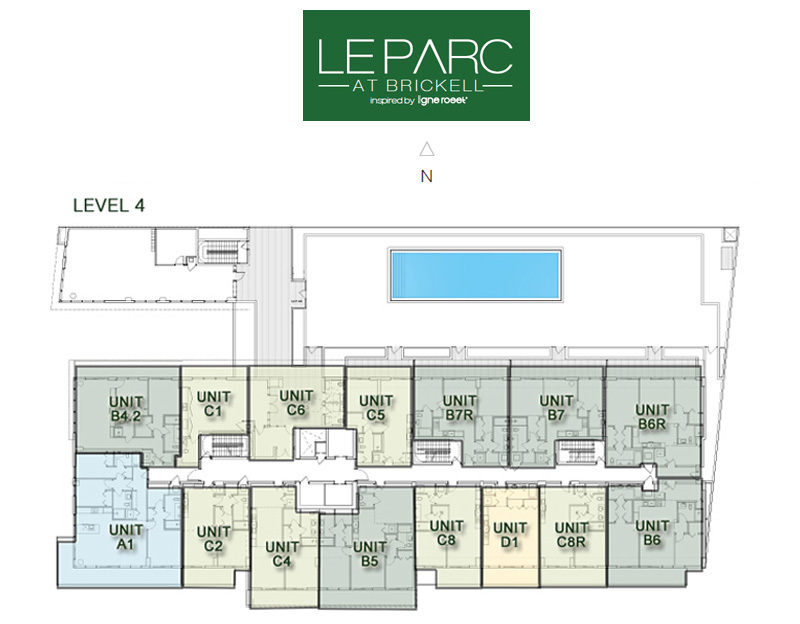 Le Parc at Brickell is a 12-story, 128-unit luxury building in Miami’s upscale Brickell area. The eco-friendly, boutique-style condominium will boast a central location just blocks away from Miami’s urban core with panoramic views of Simpson Park looking out towards Biscayne Bay and the Downtown Miami/Brickell skyline. This refined refuge will offer one-bedroom, two-bedroom, three-bedroom and townhome “move-in-ready” residences, ranging from 576 to 1968 square feet, with 6-foot-wide private balconies.